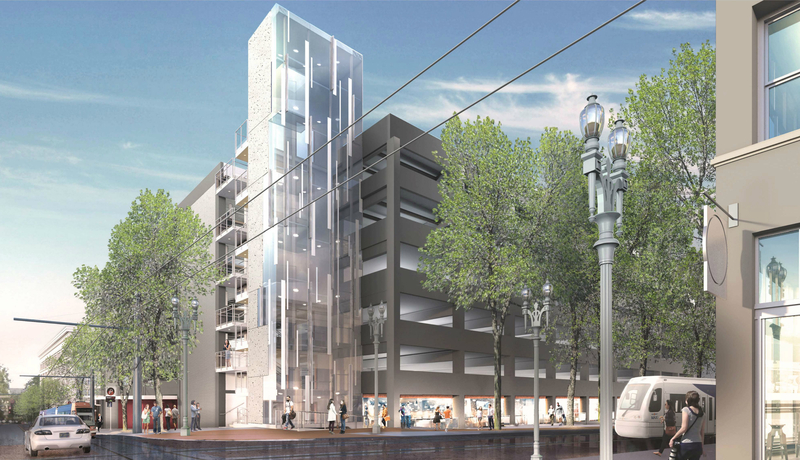 The SmartPark garage at 10th and Yamhill in Portland, OR is being renovated to modernize the structure to improve performance and meet current accessibility standards. The project will refresh and enhance the ground floor retail, increase lighting and visibility throughout the garage, and optimize vehicle and bicycle parking. The garage remains open during the renovation. Construction is being phased to maximize availability. This project is a joint effort of the Portland Bureau of Transportation and Prosper Portland (formerly known as the Portland Development Commission). The 10th and Yamhill SmartPark is one of six City-owned garages that support the economic viability of the Central City with affordable parking to meet the short-term needs of shoppers, visitors and business clients. Click on the graphic above to view as a PDF.